I. Love. Her. Name. Seriously, I just LOVE the name Greta!! AND I really love this sweet and squishy little baby. Miss Greta did SO good staying nice and sleepy for me and was such a perfect little model. Did I mention babies are my favorite?!? They smell the BEST. They are cuddly and squishy. They make the best noises and faces. 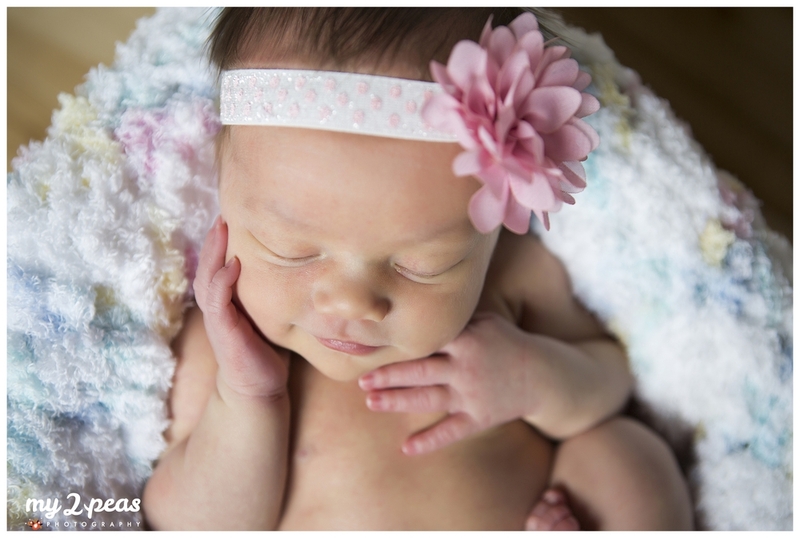 Mom and Dad are so in LOVE with this gorgeous little babe. I don't blame them, she is pretty wonderful!! Mommy made the bottom right hat in the image above. How sweet is that? 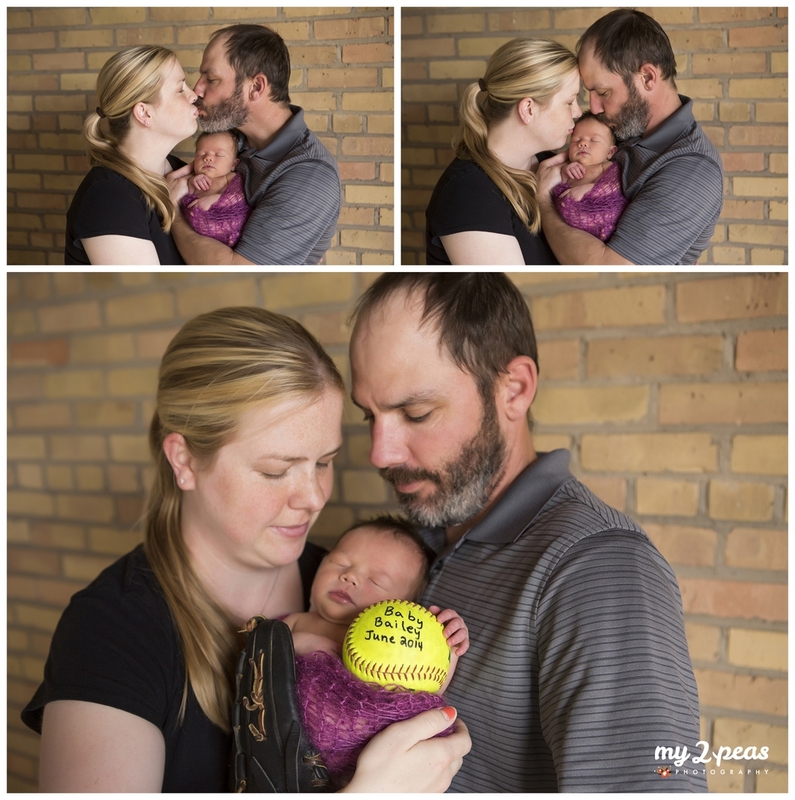 The softball is the same softball they used in their maternity photos AND the way they announced the arrival of their sweet little girl! !